The Porsche model 924 was the first actual car in the Porsche brand history that featured a water-cooled front mounted engine and was the model that replaced both the 912 and 914 models before it. The 924 model was first introduced to the consumer in 1975 and was met with a great deal critical acclaim, but the 924 model was significant for more than its popularity. Until the introduction of the 924, Porsche was struggling very badly to remain financially viable, due to a number of factors, primarily revolving around poor sales, stagnant designs, declining consumer interest in their products as well as increasing competition from rivals all meant that Porsches future was very rocky indeed. 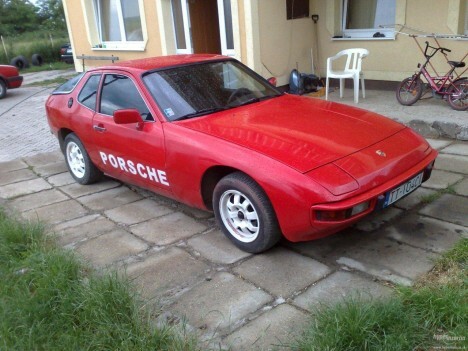 The 924 not only managed to revive public interest in Porsche and thus save them from nearly imminent defeat, but also helped to further secure Porsches strong market presence in the Northern American markets where the 924 model was not only successful in its own right, but also paved the way for all future Porsche models. Porsche must feel especially fortunate as to the success of the 924 model, as the actual creation and design of the model was through sheer luck than actual competent corporate strategy. The 924 model started its life as a new model design by Volkswagen, who had wanted to create and design a new car that would secure a dominant market position, and Volkswagen commissioned Porsche to come up with some ideas as to the design of the car. Porsche decided upon the rear wheel driving layout of the vehicle, as well as a rear transaxle so as to help provide optimum weight distribution between the front and the back of the vehicle with the design implemented by Porsche, which gave a slight emphasis on the rear of the car meant for a greater steering and braking experience. However, Volkswagen soon abandoned their pet project, due to ever increasing concern and fears about the consequences of the 1973 oil crisis as well as a change in the leadership of the company. Initially , Volkswagen put their project on hold, but this indecisiveness soon gave way to an outright rejection of the project, which was then subsequently subcontracted out to Porsche, who after some negotiation with Volkswagen paid an undisclosed sum of money for the design of the model. Although we can only speculate as to the amount actually paid by Porsche, what is defiantly clear is that Porsche paid less for the model than they were paid by Volkswagen to better manufacture it. Due to such a inexpensive beginning, Porsche was able to keep productions costs low from the very beginning and these savings were then passed onto the consumer, in the guise of the final sale price of the product another reason for the strong popularity, high sale figures, and cult following the car soon enjoyed. In 1978, the 924 Turbo Porsche model was introduced to the open market, whilst the 924 was enjoying a stable and indeed dominant position within the market, the company wanted to maintain that competitive edge, and sought to bridge the gap between the performance in terms of speed and steering between the basic 924 models and the previous 911 models. The weight distribution of the 924 Turbo was altered slightly, from 48/52 for the ordinary 924 models, to 49/51 for the 924 Turbo models. The engine weighed roughly 27kg more than the 924 original and so revisions were also made to the anti roll bars as well as the front spring rates. All of this brought about a greater speed, and further solidified the strong market presence enjoyed by Porsche.